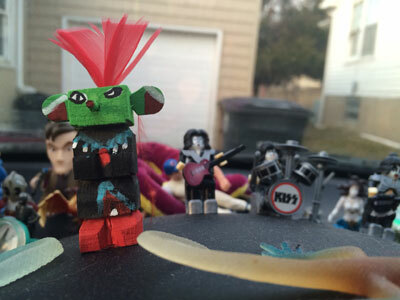 When my sister bought me a set of KISS Lego figures for Christmas last year, I assumed that was as weird as it got. Clearly, I was mistaken, as evidenced by the Lego Jules Winnfield and Vincent Vega figures you see pictured above. My friend Jeffrey found them at Hastings on Monday and promptly bought them for me to glue on my dashboard. I have no idea who thought the world needed Pulp Fiction Lego figurines — or why — but that person is obviously a genius and deserves a Royale with cheese and whatever is in the suitcase for coming up with something this brilliant. The Silent, Cyberman and second Roman-soldier Auton have been sitting on my piano for months, waiting to join their brethren on the dashboard. 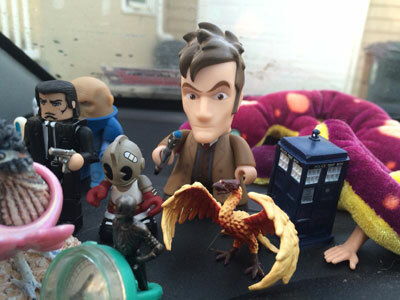 Doctor Who Titan figures are sold in blind boxes. Someone opened this one and then inexplicably left it on the shelf at Hastings, where I happily snapped it up. I thought David Tennant would look good next to Ryne Sandberg, whose hand is visible to the right of the TARDIS. 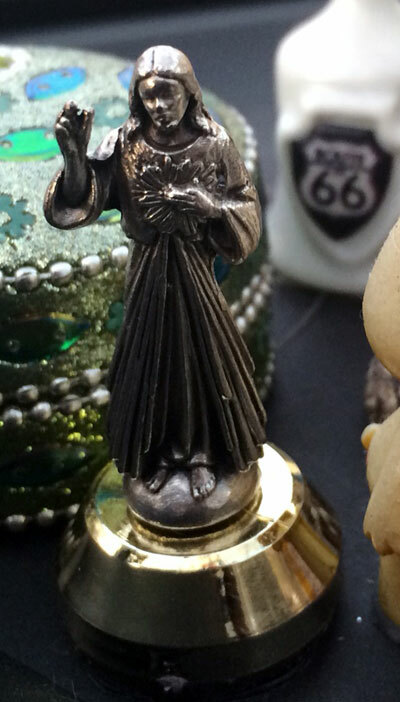 We found St. Francis of Assissi in a little Catholic bookstore in Las Vegas, N.M., on our vacation this summer. I had to have him, of course. I found Jesus at the same bookstore. And glued him on my dashboard, of course. 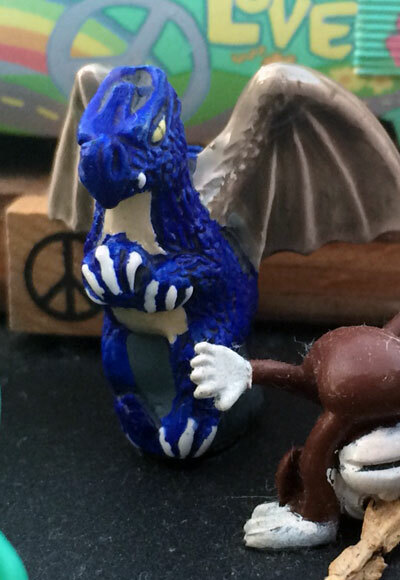 I think I got this dragon at a bead shop in Flagstaff. No idea who this kachina is, but that side-eye was too epic to pass up. IIRC, I found him at the Continental Divide Trading Post. Apparently he’s not a KISS fan. Hope your day was filled with fun stuff worthy of gluing onto your dashboard.